Are you ready for day 2? Today is December 2, pick out 3 toys that you no longer play with and donate them to a toy drive. There are a lot of kids that do not have fun toys to play with like you do. They will be so happy with your generosity. You are doing great things Addison! Remember that what you are doing is making God very happy! And your Mom and Dad too! 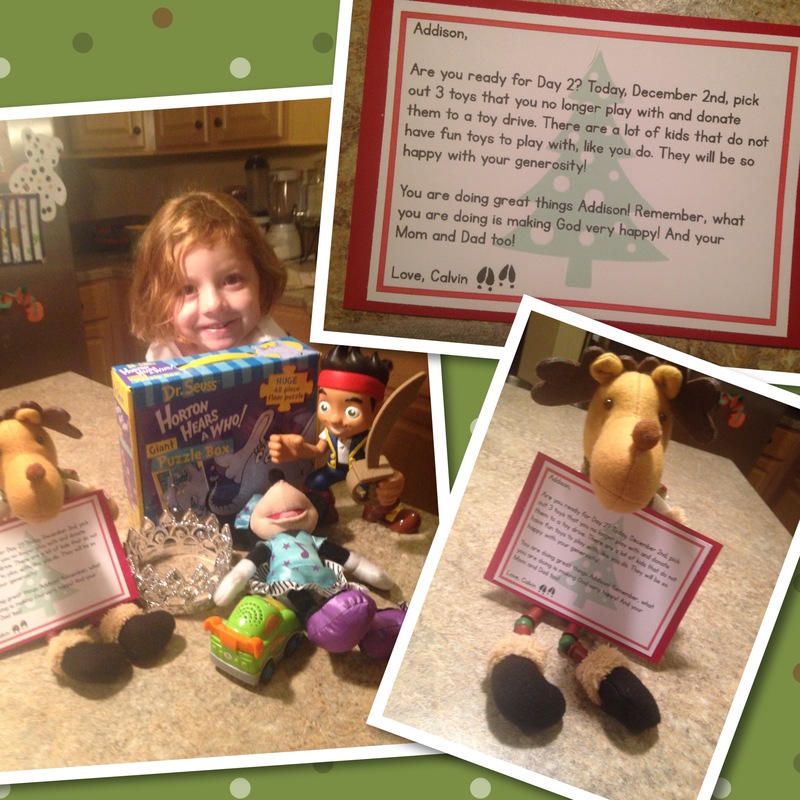 Addison picked her toys out and then we donated them to a local organization. This organization was collecting toys to fill angel tree wishes for local children.